As this week’s accompanying video kicks off – I have more holidays than Judith Chalmers. For those of a certain age, who wonder what I am talking about, she presented a travel show on TV called ‘Wish you were here’ that ran for almost 30 years. So that’s the explanation and as well as my many travels so far in 2016, this week I embarked on the third week-long vacation of the year. It sounds like I’ve got money to burn, well the reality is the yearly vacations added together that I go on with my wife still cost less than one summer week when our girls were at school. Plus with lots of flexibility we check for special offers, and all three so far this year have been what you would call bargain breaks. What I’m reaping though at this stage of my life is the result of seeds sown when I was younger. Having a mortgage at 18 meant I was liberated from those type of housing costs in my 40s. One thing that going on holiday always means to me though is angling. And as we always take vacations on the coast, in particular sea fishing. 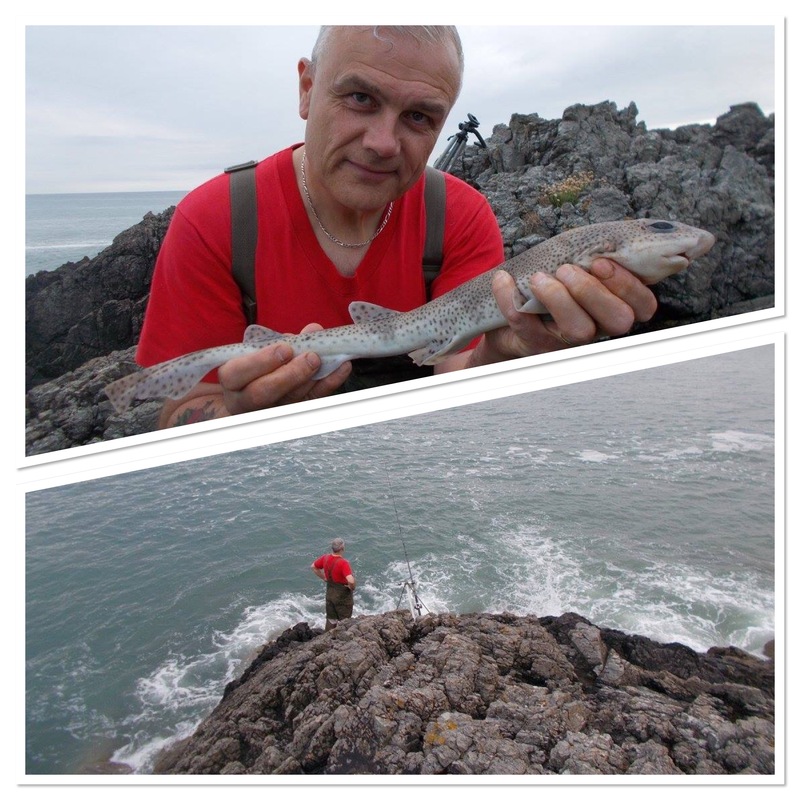 As I’ve written so many times in my blog entries, I love saltwater angling and if I lived closer to the sea I’d certainly do a lot more. Having said that, if you do follow my blog on a regular basis you’ll know that in spite of living as far from the beach as anyone in England, I still do my fair share. 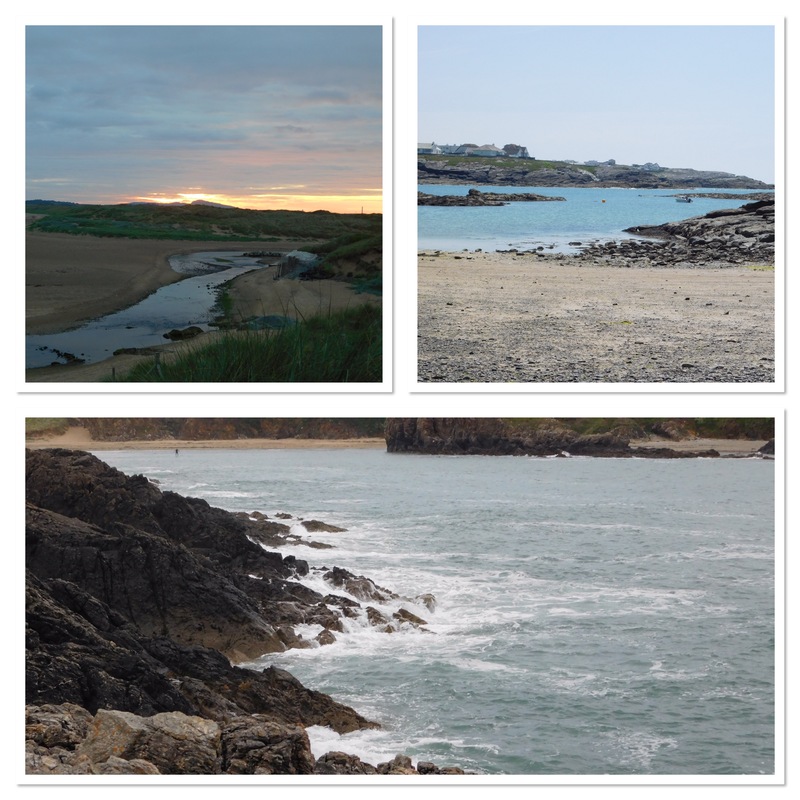 Staying on the island of Anglesey in the west coast village of Rhosneigr, I fished the local beach. With low water being just about on dark the day of arrival, that was perfect. Although our apartment was right on the edge of the sand dunes, it was still a decent walk to the sea when it was out. Involving a trek through the dunes themselves, across a small river and then, due to the beach being quite flat, another long journey before I could finally get going. Not that I’m complaining though, far from it. 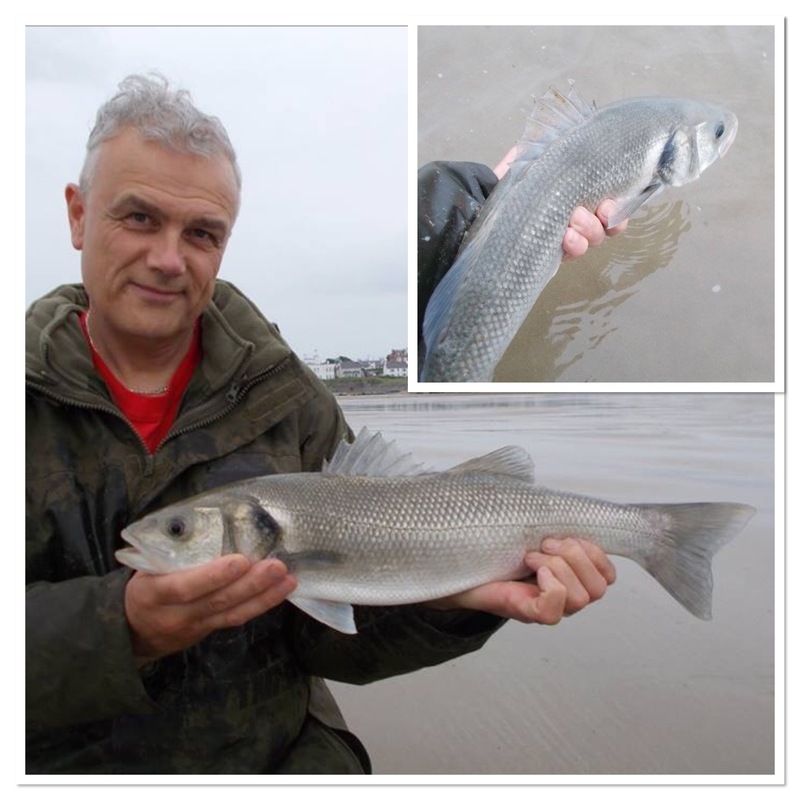 As always, it’s great to cast out for the opening session and with the tide still receding, within minutes I had the unmistakeable tap of a bass on the one rod. Striking in and feeling it kite around to the left, I knew immediately that this was a good fish. And so it was as you can see from the photographs. The great thing is that my wife was with me at the time and so we captured it all on film. You can view that, as always, via the video at the head of the blog entry. My second trip to the beach though was the total opposite of the opener. Whilst I was able to keep the baits out as long as I wanted on the first one, the next visit saw me plagued by weed. Within seconds of casting out, the rods would bend under the weight of the slimy green stuff that was everywhere. I managed a crab but that was it. Another very short session but this time fish-less. I did end up catching something that was the most amazing thing ever though and you can check that out in the video. With the bass under my belt I did a couple of very short float-fishing sessions from the rocks in a spot that I wanted to target. Admittedly I didn’t spend much time there but in both instances I drew a blank. Still not deterred by fishing new places though, with one eye on future visits I again set up somewhere different for my final outing. Casting from rocks I realised I was in snag city. However I persisted, in the hope of finding some sandy ground and eventually after moving places I did just that. It was a decent chuck though and that’s where multipliers come in. 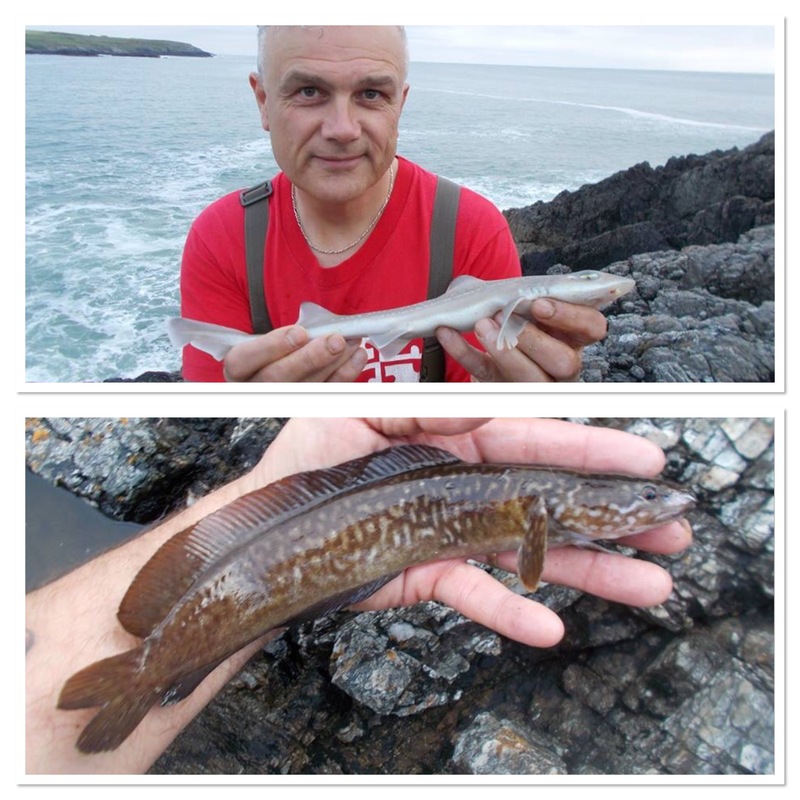 Again it was just another short visit but this time I caught lesser spotted dogfish, starry smoothound and a shore rockling. 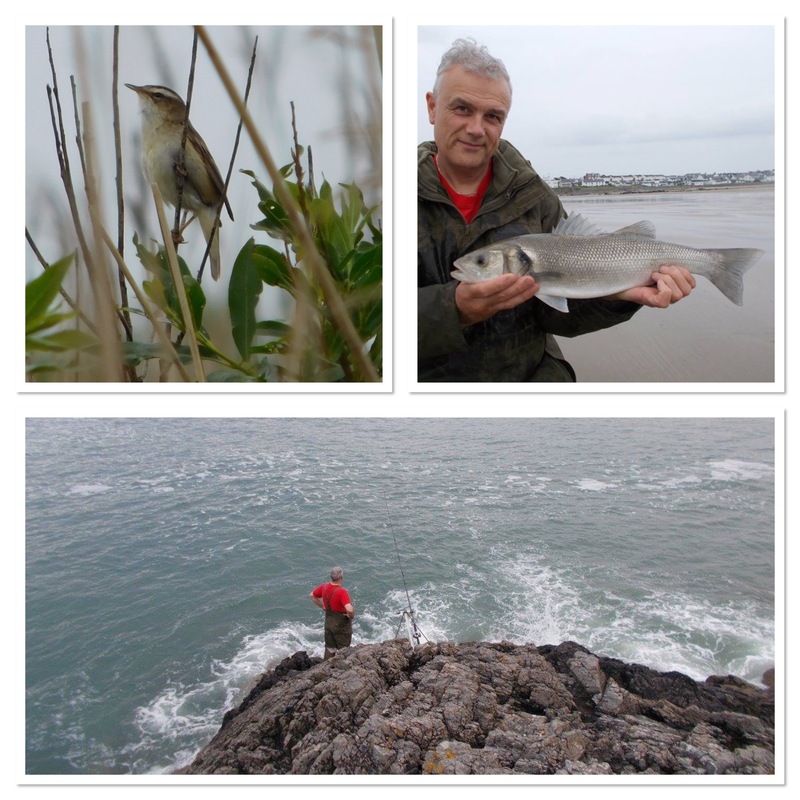 As well as the photographs of the fish featured here in the written blog you can also view the session in the video. I also go through the rig as well. On the subject of the videos, I run a small charity with my wife that works in Africa, so if you can let the occasional advert run that would be appreciated. The videos are monetised and the money goes straight into the charity account. Thank you very much, or as they say in Wales, diolch yn fawr. Of course, as well as fishing, the natural world occupied a lot of my time on holiday. I love British nature and being in a different environment to home saw me making the most of that. Visits to South Stack, near Holyhead added chough, guillemot, fulmar, razorbill and puffin (5 seen at one time) to my 2016 birding list, with the town’s harbour throwing up black guillemot. 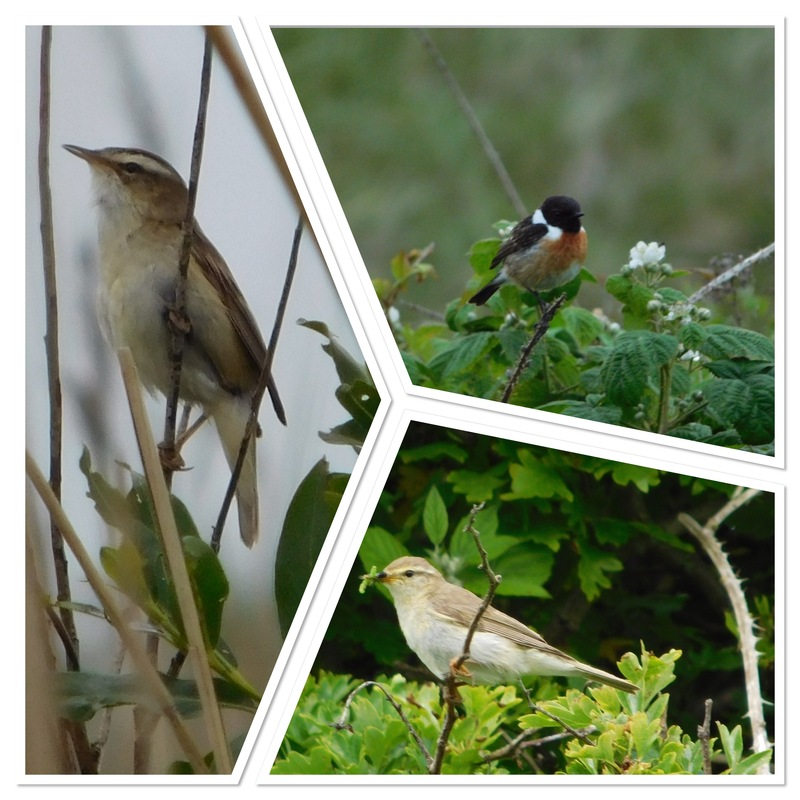 I saw my first rock pipit of the year at Cable Bay with reed warbler, gadwall, whitethroat and lesser whitethroat joining the list at Valley Wetlands. My tick-list also took a positive tern for the better at Cemlyn, with arctic, common and sandwich added. I also saw a short-eared owl hunting at 7.25 pm one evening. A self-found bird, this gave me a greater buzz, for that very reason, say than the previously mentioned chough which I knew would be there. Not wanting to give location away in case of a breeding site, I tweeted it as NW Anglesey. I did search Twitter and saw that someone had reported sightings at South Stack a while back, but it wasn’t that venue. A self-found summer SEO with no other birders in sight, well it was the highlight for me. I’m up to 113 now. Slowly moving forward.